This has been an ‘interesting’ year for PopCultHQ. The year started out with a bang. This was our first full year as a fully independent pop culture news site, having our own domain and being independently hosted. Manny had great hopes for the site. 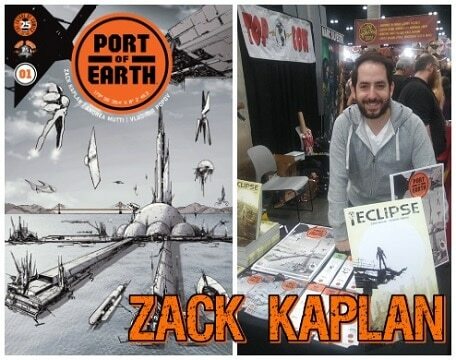 We had connections in both the entertainment and comic industry and those connections were helping us move forward and grow. We also had a steady piece that was continually pulling traffic – The 2016 Convention list. This list was helping us gain ground in the search engines and was helping us boost traffic to the other articles. Everyone loves a good controversy and the top article in January 2016 was about Daytona 2050, a convention that fell well below everyone’s expectations and failed to pay anyone the moneys that were owed. Also on the controversy front was the Netflix series Making a Murderer, which Manny covered in great detail. Controversial articles continued to be our strongest draw in February with the Geek Girl Chicago Controversy. This was even miles ahead in views of our 2016 Convention list. March continued to be a great month for us as the Geek Girl Controversy continued and we had C2E2 coverage. There was no controversy in April, but The Man of Steel Easter Egg article by Manny in 2015 suddenly took off and it has been a steady draw every month since then. The top articles in May (besides the convention lists) were comic book previews written by our comic book specialist Jason Bennett: Augmented #1 by Tenacious Comics and Inferno: Resurrection #3 (Of 5) from Zenescope. In June, a comic book review by Jason Bennett once again gave the convention list a good run for their money. The “Justice League” #1 Michael Turner Exclusive Cover was pretty popular. Controversy also raised it head once again with Villains Con. Unfortunately, towards the end of the month of June, our Chief of Staff and Head Geek Manny Popoca’s life was taken from us, putting us in an uncertain position. 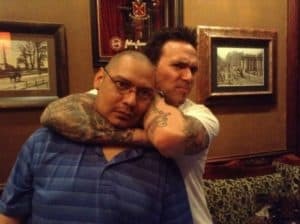 In July, still reeling from the loss of Manny, we (the writers for Manny and PopCultHQ) published a very touching tribute article to him. We also reached out to those in the comic book community (creators, publishers, convention guests, people in the entertainment industry, etc.) to allow anyone who ever met Manny, was impacted by him, or affected by his death, to speak out and say what was on their minds and hearts in thier very own tribute article. It was then that we decided that ‘the show must go on’ and continued to contribute to the website. In PopCultHQ tradition, this was also another month for controversy, this time with Anime Midwest. By August 2016, we had regained our footing and started to take off running again with our articles on Wizard World Chicago. 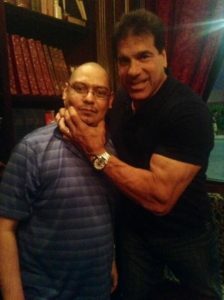 Bad conventions seem to be our growing forte and September was no exception with ReWind Con in Chicago. 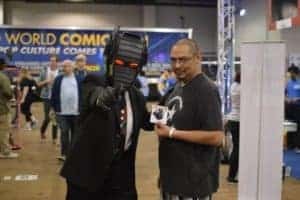 The unusual thing was that this month we also got to show the flip side of conventions and show a convention that was doing things right, the Brazos Valley Comic Convention. October gave us an influx of traffic to the Conan articles, which Jason had been doing almost nightly for the last year. The articles have been doing great every month since then, so it just goes to show that persistence pays off. Manny’s article on The Man of Steel Easter Egg also did fantastic. 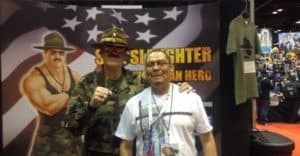 ReWind Con occurred and failed, leading to another series of popular articles, but when it came to controversy, Wizard World firing their chief marketing officer (written by Jason) gave a good run. December isn’t over just yet, but so far our top article is the 2017 convention list followed by more of ReWind Con, Conan, and our quick “How-To” list on How to Start a Convention. Despite setbacks, we have managed to keep this site running and improve it. Without our editor Jason, and our writers Kimmy, Amanda, Tori Ann, Garrett & Melissa, none of this would have been possible. It is also thanks to our readers that we continue. Without your views, your shares and your comments we wouldn’t be here. PopCultHQ wishes all of you a Merry Christmas and a Happy New Year. PopcultHQ Open Letter To Michael B. Jordan on Fantastic Four Movie! “Iwata’s Rainbow Road” – Fans Call Natural Event a Sign From Satoru Iwata! July 15, 2015 Manny Popoca Games, Pop Cult News, Right in the Feels, Spotlight, Tech, Video Comments Off on “Iwata’s Rainbow Road” – Fans Call Natural Event a Sign From Satoru Iwata!